HUD announces new rules for down payment assistance on FHA mortgages: The Department of Housing and Urban Development announced this week that it is issuing new rules for down payment assistance on mortgages insured by the Federal Housing Administration. Click the headline for a full breakdown of which rules are changing and why. What qualifies as income? Basically, it’s income that has at least a proven, two year history of being received and pretty high assurances that the income is likely to continue for at least three years. What’s not acceptable? Unverifiable cash income, short term income and income that’s not likely to continue like unemployment income, student loan aid, VA education benefits,or short term disability are not allowed for a mortgage loan. What the mortgage underwriter is looking for here is how much can you put down and secondly, how much will you have in reserves after the loan is made to help offset any financial emergencies in the future. Do you have enough assets to put the money forth to qualify for the down payment that the particular program asks for. The only 100% financing or no money down loans still available in Kentucky for home buyers are available through USDA, VA, and KHC or Kentucky Housing Loans. Most other home buyers that don't qualify for the no money down home loans mentioned above, will turn to the FHA program. FHA loans currently requires a 3.5% down payment and Fannie Mae or Conventional loans require a 3% to 5% down payment. The more you put down, the better your rate and terms usually and your chances of qualifying. Kentucky Home buyers that have access to putting down at least 5% or more, will usually turn to Fannie Mae or Freddie Mac mortgage programs so they can get better pricing when it comes to mortgage insurance. These assets need to be validated through bank accounts, 401k or retirements account and sometimes gifts from relatives or employer.. Can you borrower the down payment? Sometimes. Generally if you’re borrowing a secured loan against a secured asset you can use that. But rarely can cash be used as an asset. FHA will allow for gifts from relatives for down payments with little as 3.5% down but Fannie Mae will require a 20% down payment when a gift is being used for the down payment on the home. 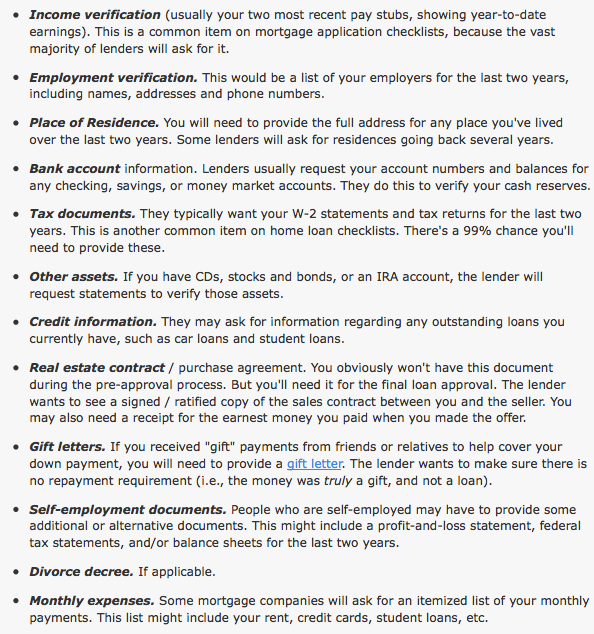 The down payment scenarios listed above are for Kentucky Primary Residences only. There are stricter down payment requirements for investment homes made in Kentucky. 620 is the bottom score (again with few exceptions) that lenders will permit. Below a 620, then you have to look at doing a FHA loan or VA loan if you are a veteran. Even at 620, people consider you a higher risk that other folks and are going to penalize you or your borrower with a more expensive loan. 720 is when you really start to get in the “as a lender we love you” credit score. 740 is even better. Watch your credit scores carefully. You have three credit scores and the lender will take your middle score. For example lets say you have a 590 on Transunion, 679 on Experian, and a 618 on Equifax. Then your middle qualifying credit score will be 618 credits score. If you absolutely cannot get your credit scores up to 620, then FHA will be a good option for you. FHA states that if your fico credit score is 580 or above they will allow for a 3.5% down payment, and if below 580, you will need 10% down payment. There are a lot of mortgage lenders that will not go below 620, so keep that in mind when you are shopping for a mortgage lender, because they create credit overlays. Kentucky FHA Mortgage Loans currently requires 3 years removal from a foreclosure or short sale and 2 years on a bankruptcy with good re established credit. Kentucky Fannie Mae Mortgage Loans currently requires 4 years removal from a bankruptcy, and 7 years on a foreclosure. Kentucky VA Mortgage Loans currently requires 2 years removal from a bankruptcy or foreclosure with good reestablished credit. Kentucky USDA loans require 3 years removal from bankruptcy and foreclosure with good reestablished credit. Lower of the value or the contract price!!! That means that if you buy a $1,000,000 home for $100,000, the value is established at $100,000. Conversely, if you buy a $200,000 home and the value comes in at $180,000 during the appraisal, then the value is established at $180,000. Big issues….Talk to your loan officer. For each one of these boxes, there are over 1,000 things that can effect if a borrower has reached the threshold to complete that box. Soooooooooooo…..talk to a great loan officer. There are so many loan officers that don’t know what they’re doing. But, conversely, there’s a lot of great ones as well. Your loan is so important! 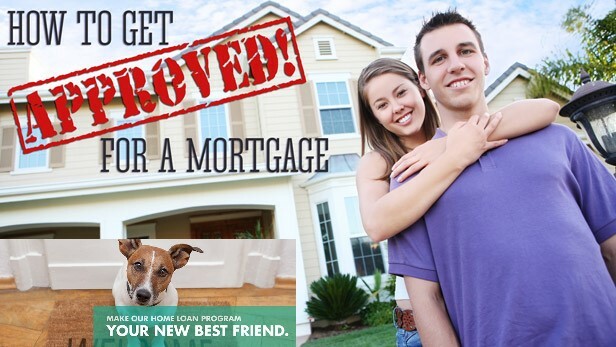 Get a great lender so that you know, for sure, that the loan you want, can be closed on! The current mortgage insurance requirements are kinda steep when compared to USDA, VA , but the rates are usually good so it can counteracts the high mi premiums. As I tell borrowers, you will not have the loan for 30 years, so don’t worry too much about the mi premiums. Most VA lenders I work with will want a 580 credit score even though on paper, VA says they don't have a minimum credit score. This type of loan is administered by KHC in the state of Kentucky. They typically have $4500 to $6000 down payment assistance year around, that is in the form of a second mortgage that you pay back over 10 years at a interest rate of 1% or 5.5% depending on your income in the household. KHC offers FHA, VA, USDA, and Conventional loans with their minimum credit scores being set at 620 for all programs. The conventional loan requirements at KHC requires 660 credit score. These 10 mortgage facts will give you an advantage when shopping for a home or refinancing an existing loan. Just like the stock market, mortgage rates change throughout the day. Mortgage rates you see today may not be available tomorrow. If you are in the market for a mortgage loan, be sure to check the current rates being offered by lenders. If you have already done your research and have found your dream home consider locking in your rate as soon as possible. Don’t expect every lender to charge the same fees for a mortgage loan. Every lender structures their fees differently, which is why it is important to shop with at least 3 lenders to compare. Next time you apply for a mortgage loan pay attention to the rates, points being charged and closing costs. Many borrowers have experience getting a mortgage loan with a certain lender only to find out that the loan has been sold to another bank. This occurs because lenders need to free up their liabilities in order to make room to give out more loans. This does not affect your mortgage whatsoever, but it’s important to pay close attention to your mortgage statement and any correspondence you receive in the mail to make sure you do not make payments to the wrong bank. When you apply for a mortgage loan, the lender will pull your credit scores from three credit bureaus (Transunion, Equifax and Experian) to help them determined if you are credit worthy. Your middle score of the three is what lenders will use for loan qualification. However, the underwriter will review all three scores as part of the loan underwriting process. If you pull your own credit score through a website online, the credit scores displayed to you may be different than what lenders use because they use different reporting systems. You can refinance your mortgage anytime, but it doesn’t necessarily mean you should. Think about why you want to refinance. Is because you want to lower your monthly payments, to change the type of loan you are in or to take cash out from your equity? Whatever the reason is, make sure that it makes financial sense. Many homeowners have experienced a foreclosure after the recent mortgage crisis. There is good news for these borrowers because they can get a mortgage loan after foreclosure. There are waiting periods involved, for example, to apply for an FHA loan you must wait three years after foreclosure to apply. 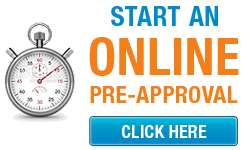 If you want to get a conventional loan the waiting period is seven years from foreclosure. For those seeking a VA loan, the waiting period is two-years. There are exceptions to the waiting periods, but you have to show the lender that your foreclosure was caused by an event outside your control, such as losing your job or being seriously ill.
Good credit scores mean a better rate in any type of loan, especially a mortgage loan. Your credit heavily impacts the type mortgage loan you will qualify for. To maintain a good credit report, make sure you monitored it closely. One of the advantages to good credit is that more banks will want to compete for your business, therefore giving you leverage to negotiate the closing costs. Knowing your APR will allow you see the true cost of your loan. While the interest rate shows the annual cost of your loan, the APR includes other fees such as origination points, admin fees, loan processing fees, underwriting fees, documentation fees, private mortgage insurance and escrow fees. There may be more or less fees included in the ARP from what we mentioned. To be sure what fees are included in the APR, ask your lender to give you a breakdown of the closing costs included. One way to reduce closing costs is to have the sellers contribute towards the closing costs when purchasing your home. This can be negotiated between the buyer and the sellers in the purchase contract. The amount the seller can contribute will depend on the type of loan. Another way to save on closing costs is to have the lender give you a credit to cover out of pocket loan costs. What income can be used for a Mortgage Loan Approval in Kentucky? Income is one of the most important variables a lender will examine because it is used to repay the loan. Income is reviewed for the type of work, length of employment, educational training required, and opportunity for advancement. An underwriter will look at the source of income and the likelihood of its continuance to arrive at a gross monthly figure. Salary and Hourly Wages - Calculated on a gross monthly basis, prior to income tax deductions. Part-time and Second Job Income - Not usually considered unless it is in place for 12 to 24 straight months. Lenders view part-time income as a strong compensating factor. Commission, Bonus and Overtime Income - Can only be used if received for two previous years. Further, an employer must verify that it is likely to continue. A 24-month average figure is used. Retirement and Social Security Income - Must continue for at least three years into the future to be considered. If it is tax free, it can be grossed up to an equivalent gross monthly figure. Multiply the net amount by 1.20%. Alimony and Child Support Income - Must be received for the 12 previous months and continue for the next 36 months. Lenders will require a divorce decree and a court printout to verify on-time payments. Notes Receivable, Interest, Dividend and Trust Income - Proof of receiving funds for 12 previous months is required. Documentation showing income due for 3 more years is also necessary.Rental Income - Cannot come from a Primary Residence roommate. The only acceptable source is from an investment property. A lender will use 75% of the monthly rent and subtract ownership expenses. The Schedule E of a tax return is used to verify the figures. If a home rented recently, a copy of a current month-to-month lease is acceptable. Automobile Allowance and Expense Account Reimbursements - Verified with 2 years tax returns and reduced by actual expenses listed on the income tax return Schedule C.
Education Expense Reimbursements - Not considered income. Only viewed as slight compensating factor. Self Employment Income - Lenders are very careful in reviewing self-employed borrowers. Two years minimum ownership is necessary because two years is considered a representative sample. Lenders use a 2-year average monthly income figure from the Adjusted Gross Income on the tax returns. A lender may also add back additional income for depreciation and one-time capital expenses. Self-employed borrowers often have difficulty qualifying for a mortgage due to large expense write offs. A good solution to this challenge used to be the No Income Verification Loan, but there are very few of these available any more given the tightened lending standards in the current economy. NIV loan programs can be studied in the Mortgage Program section of the library.